"Working with Eric to recreate a prized vintage Jazz III from his personal collection, Dunlop used the most advanced laser scan and molding techniques available. The result? 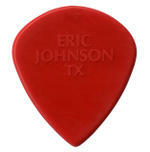 The Eric Johnson Classic Jazz III pick, with an even more refined and smooth tip, increased flexibility, and a matte finish with raised logos that offer an incredible gripping surface." Here's some great footage of Frank Gambale at the Blue Note in New York City on 12/18/07 with Chick Corea. Check out bass monster Victor Wooten grooving in the background. Guitar Player Magazine featured a nice Steve Morse interview in the November 2007 issue. You can now read this interview on GP Editor Jude Gold's MySpace blog. Well worth checking out. 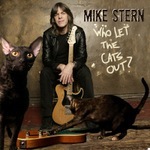 Len Davis has posted part 2 of his interview with Mike Stern. Part 1 was posted a couple of weeks ago. Guitarist Chris Poland's heavy fusion band OHM has a new album on the way entitled Circus of Sound. The band has posted a track called (for now anyway) "The Untitled" from the new album on their MySpace page. Ho Ho Ho! (Oops! Make that Ha Ha Ha!) Merry Christmas everyone! Widespread Panic's new album Free Somehow will be released Feb 12th 2008. This is WP's first studio album with guitarist Jimmy Herring, who joined the band in the summer of 2006. The John McLaughlin News site has some cool pics of McLaughlin recording monster bassist Hadrien Feraud for an upcoming album.